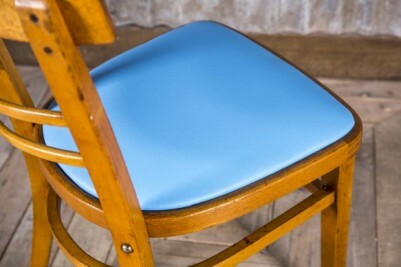 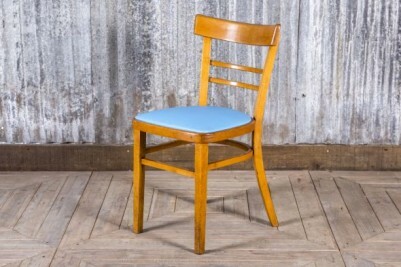 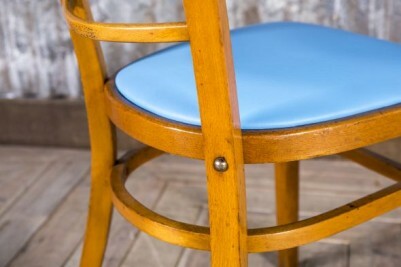 Retro cafe chairs from our vintage seating range. 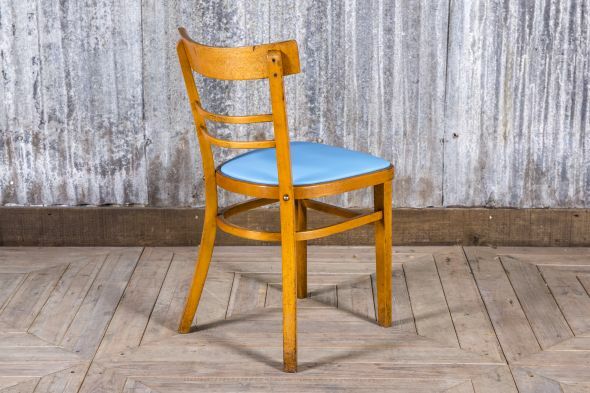 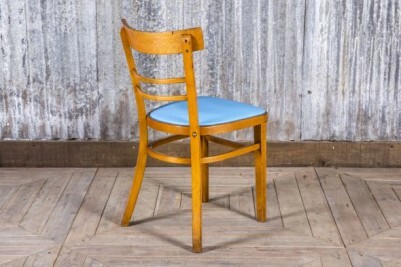 Suitable for restaurants, bars and domestic kitchens, these eye-catching chairs ooze vintage charm. 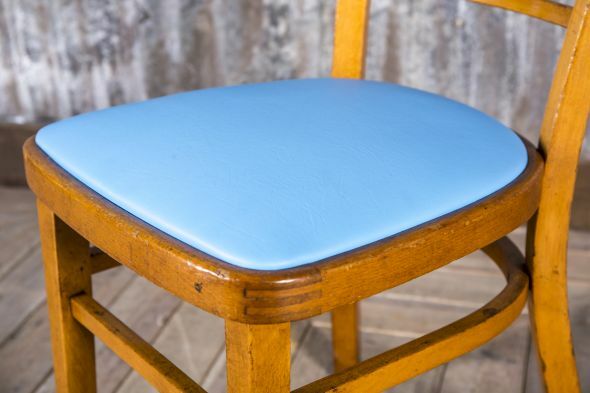 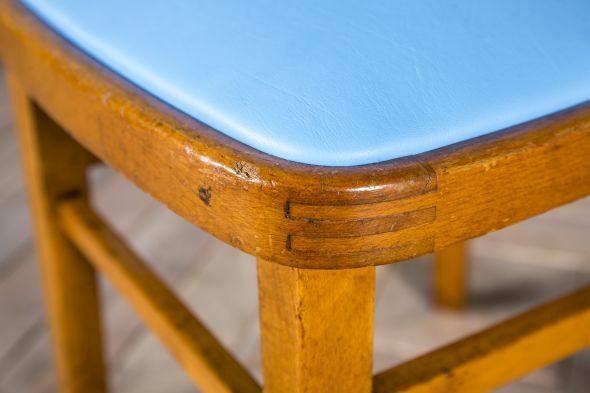 A great way to add colour to any interior, these original wooden chairs have been reupholstered in a lovely bright blue material. 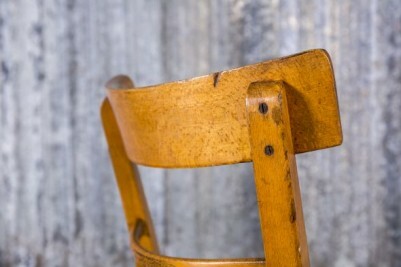 The chairs are in good condition but are vintage items, so please expect to see some signs of wear and tear. 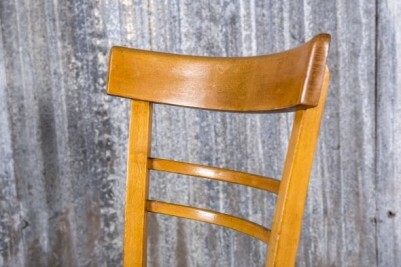 The back style may vary from that shown, some chairs will have two bars and some will have three. The price is for one chair, but you can purchase them in larger quantities.